Welcome to another #LazySundayinFrance and what a lovely Sunday it has been here today. As Adrian has been away quite a bit recently, the garden jobs have suffered, so as well as a bit of lazy sitting in the garden, channelling my pink, blue and green flowery vibe, we’ve done a bit of pottering around too. Some weeding and bramble clearance, putting up the framework for the gazebo (to give the terrace some shade) and tinkering with the pool pipes and strimmer engine have meant our aperos in the sun this evening were well earned. Before we got out into the garden we had to collect Ed from (another) overnight party, this one only a two hour round trip into Poitiers and back. The traffic was slow on the way home, thanks to a convoy of big trucks out for a Sunday blast, think lots of smiles, waving and horn tooting. It was worth the wait. 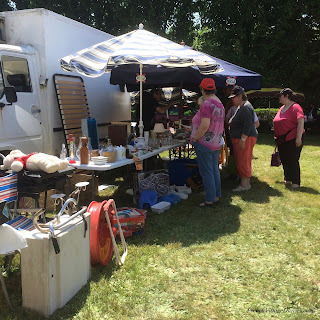 We’ve also had a wander around a local village holding a vide greniers, plant and farmers market, which was sadly rather disappointing compared to last year. 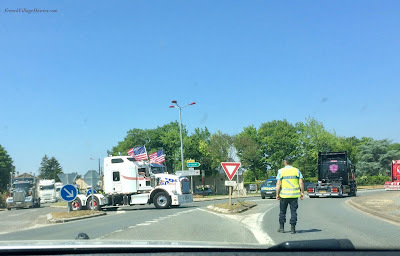 It just confirmed our beliefs that vide greniers are full of tat and not really for us. We did however meet a sweet donkey watching with interest as his village was taken over by strangers and we will enjoy the goat cheese we bought from a local farmer. I did mean to bake a cake, but I was too lazy for that, and there is always tomorrow as it’s Pentecost Monday and no work or school for us. Yippee! 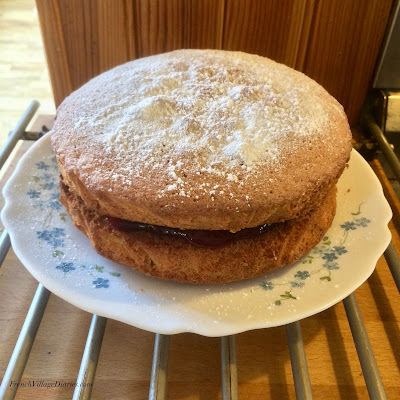 Here is my Victoria Sandwich recipe, one I’ve had for many years, but has only recently become a favourite. Cream together the butter and sugar until pale and fluffy. Beat the eggs, then add them a little at a time to the butter and sugar. Add in the vanilla essence. With a metal spoon, fold in the flour, a little at a time. Divide the mixture between two 18cm, lined cake tins. Bake in the centre of the oven for 20 to 25 mins, Gas 5. Leave to cool before sandwiching together with jam (I like strawberry) and dusting with icing sugar. 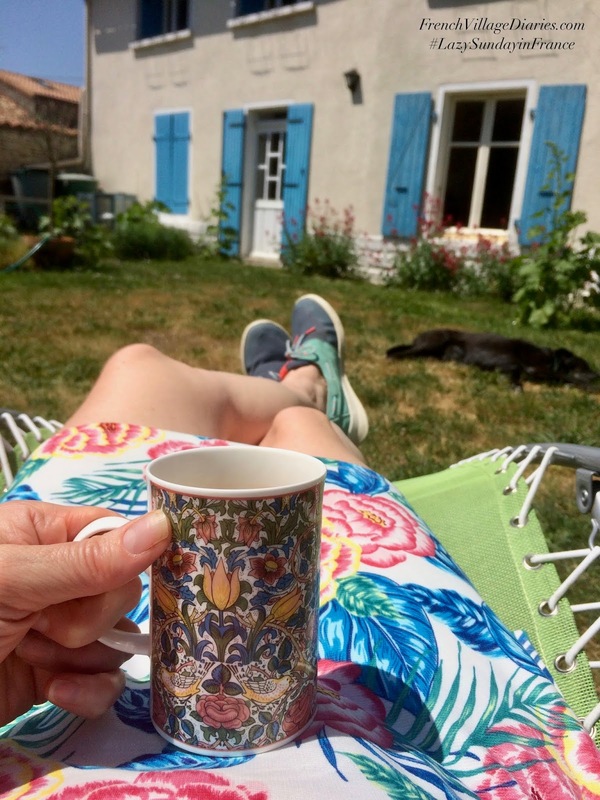 Perfect served with a cup of tea on a lazy Sunday afternoon in France.